Please join the students in Linda King Brown's ENG402 Poetry class from 7-8 p.m. on First Friday April 1, as they read landscape poems they have written this semester. The reading, held in PCA&D’s Atrium, 204 N Prince Street, Lancaster, will coincide with the First Friday receptions for the Mountain and the Bumblebee exhibit in the gallery. The students worked on their poetry for this reading with the guidance of Brown, a PCA&D Liberal Arts faculty member, and local poet Barbara Buckman Strasko, who met with them in the classroom in March. Barbara was Lancaster's first Poet Laureate and is the author of two collections of poetry, Graffiti in Braille and On the Edge of a Delicate Day. In addition, several of Strasko’s landscape poems will be read during the event. 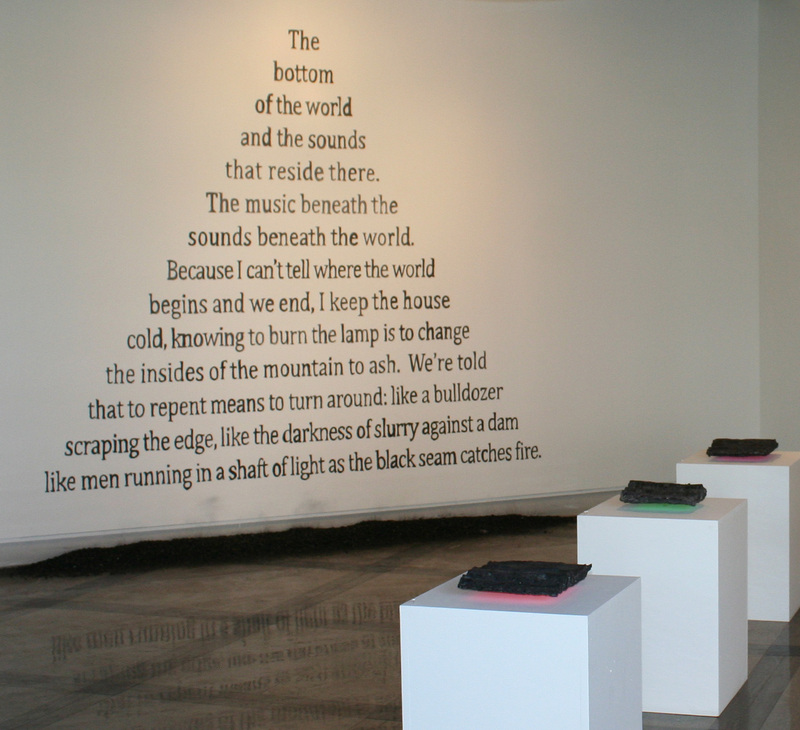 The Mountain and the Bumblebee, a group showfeaturing art and poetry, will be exhibited through April 22, 2016, in Pennsylvania College of Art & Design’s Main Gallery, 204 N Prince Street, Lancaster PA 17603. Working in a variety of media including photography, sculpture, painting, digital media and poetic verse, featured artists maneuver the complex web of references contributing to the understanding of landscape. In addition to the landscape poetry reading, other First Friday Lancaster activities surrounding the exhibition include a talk, “Chiques Rock and the Bumblebee,” by PCA&D Liberal Arts faculty member Jeff Howe on Friday, April 1 at 10 am, Atrium and a First Friday Reception, Friday, April 1, 5 – 8 pm, Gallery.